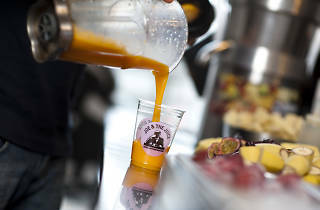 Joe & The Juice first opened in Copenhagen and has spread across the world with its distinct, yet rather familiar brand of good looking guys, tattoos, caffeine and juice. Whilst you await your order, their 'stars', known otherwise as baristas, mix up your order in a spectacle that is much like a performance. 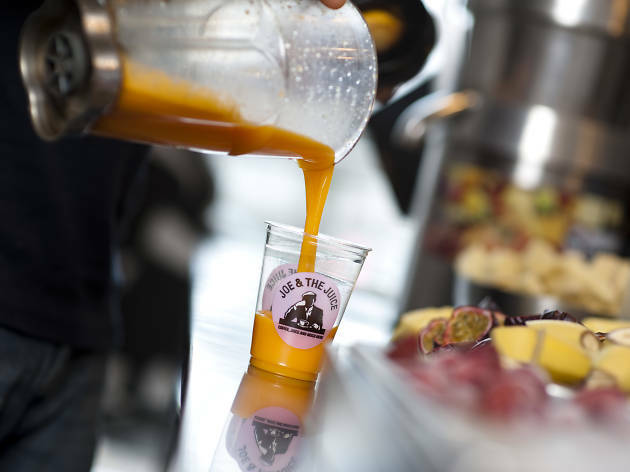 Juices go for $6.90-$9.90, tailored to ease that hangover or to help with that detox diet. Coffees ($3.50-$7), bites ($10.50-$11.50) and their green signature juices ($10.90) are also available.